What should be included in an advance directive? How much does a living will cost? How do I deal with loved ones who don’t agree with my advance directive? What are other ways I can plan ahead for times of need? An advance directive is a powerful and important part of estate planning. It helps ensure that your medical wishes are adhered to, even if you can’t communicate those decisions yourself. This guide answers a lot of frequently asked questions about advanced directives and puts you on the path to incorporating this useful tool into your estate and end-of-life planning. An advance directive is simply a formal, written statement that records your wishes regarding medical treatments and life-saving measures. This document, also called a living will, guides the decisions of medical professionals if you are unable to make or communicate your own wishes at a specific time and your medical condition meets the requirements stated in the document. In many cases, the condition stated in the advance directive may be something like “permanent unconsciousness” (such as a coma) or terminal illness (such as end-stage cancer). Living wills also have to follow the requirements of each state and are governed under different laws in each state, so it’s important to understand how those laws may impact your advance directive. Ensuring your wishes are followed. Family, friends, and even medical practitioners can be forced to make decisions on your behalf if you can’t communicate your own wishes, and there’s no guarantee that those decisions will align with your personal belief system or preference. An advance directive helps keep this situation from arising. Protecting yourself. Only you know what the right decision for yourself is, and leaving end-of-life medical decisions to physicians can often turn your case into a line item for the hospital ethics committee – prolonging any decision and possibly putting you at greater risk. Removing future burdens from your family. Making the decision for yourself means that your family won’t be forced to make what can be a very difficult decision when they may already be dealing with grief and stress. Making these decisions at the time of need also doesn’t always allow your family time to appropriately weigh all options and feelings before acting. Without an advance directive, you also don’t know who will make the final decision. State laws vary on what should be done if a living will isn’t in place and the patient can’t articulate his or her own preferences. State surrogate consent laws typically provide a complex tree of who should make the decision, often starting with the next of kin. Only 44 states have these laws, though, and 20 of those laws indicate that a “close friend” who is familiar with the patients’ values can make the decision if the required family aren’t present. Only around 11 states have laws that accommodate situations where the patient has no one to make the decision; in that case, physicians or hospital boards are typically called up to decide what treatment the patient will receive. You can skip all the uncertainty related to these types of laws by planning ahead with an advance directive (and an accompanying health care durable power of attorney). 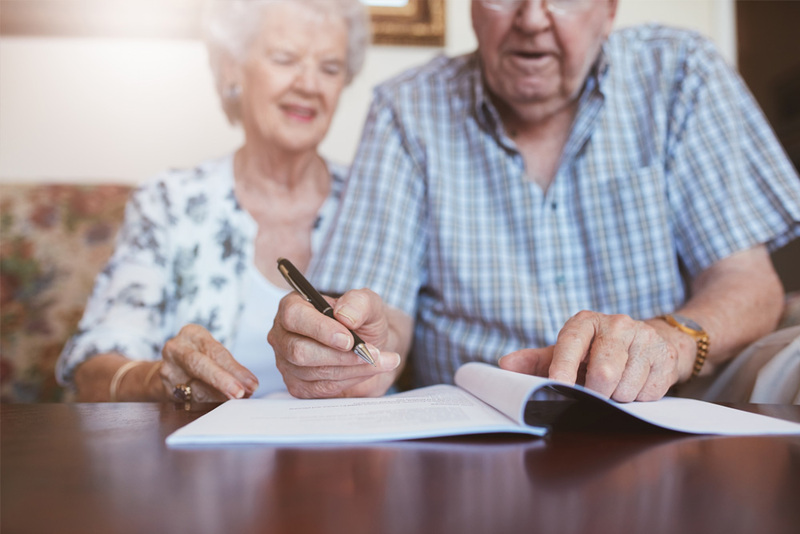 A durable power of attorney (POA) is a document you sign that provides someone else with the legal power to make decisions or take actions on your behalf during circumstances that you specify. A health care durable POA is slightly different, in that it provides a specific person or people with the legal right to consult with medical providers and make medical-related decisions on your behalf. 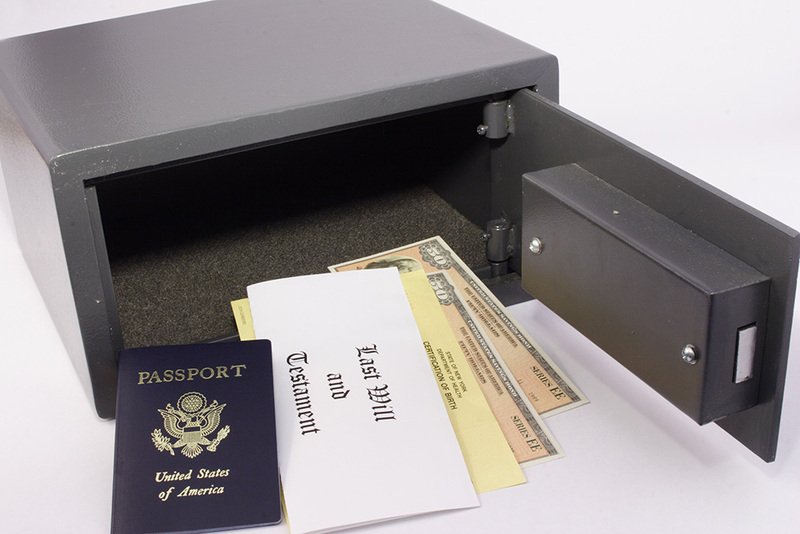 Typically, these documents provide some limitation on when and how someone has legal authority; you might create a power of attorney that provides someone with just enough authority to help you manage your checking and savings account, for example. Most health care durable POAs are written so that the authority comes into play only when you can’t make decisions yourself because you’re unconscious or experiencing significant cognitive impairment. How you structure a POA form depends on your state, but you may also be able to limit what decisions can be made by the person you designate. 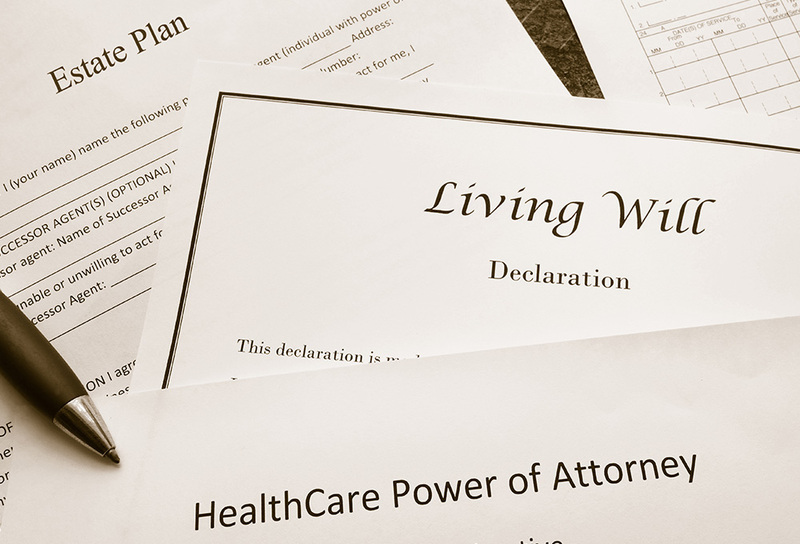 It’s best practice to couple a durable power of attorney with an advance directive. The advance directive spells out your wishes, and the POA identifies the person you trust to carry those wishes out. You can complete a DIY advance directive and have it notarized and filed appropriately for your jurisdiction, or you can work with a legal professional who can complete the paperwork and process for you. If you’re already working with an attorney on estate planning, consider asking them about adding a living will to the process. If you’re considering full estate planning, including wills and trusts, as part of your preplanning, then it often helps to work with an attorney because estate law can be so complex. If you’ve already handled those types of estate plans or you’re only interested in a living will, then you may be able to create your own advanced directive. You can also get a loved one to assist you in creating a living will. Numerous DIY options exist for creating your own estate documents. Everplans offers an especially robust directory of resources and links to advance directive forms for almost every state. Once you complete your living will form, be sure to follow any state instructions for filing it with the proper organization. For example, the state of Louisiana has a Living Will Declaration Registry. This is where health care providers turn if they aren’t sure a patient has a living will. Not every state has such a tool, so it’s a good idea to provide copies of your advance directive form to family members and other appropriate parties. Your close family or friends, particularly anyone you have named as a healthcare power of attorney. Your medical providers, who can have the form added to your electronic health records. Anyone who might be called in the event of an emergency, such as family you list as an emergency contact or your faith leader. The exact information required on an advance directive form does vary by state, but common requirements are listed below. The name of the person you are designating as your surrogate. This is the person you want making medical decisions on your behalf and ensuring your living will is followed in both letter and spirit. A secondary surrogate name in case your primary choice is unable to fulfill the duties or refuses to do so. Instructions to guide your surrogate, including specifics about what type of care you do and don’t want to receive in specific situations. You don’t want these treatments if they are required for prolonging life. You want your surrogate to make a decision that is in your best interest at that time. Life-prolonging treatments such as artificial breathing machines. Fluids and IV nourishment provided to keep you alive when you are unconscious and unable to take in nourishment on your own. Some advance directives also allow you to authorize or deny organ and tissue donation. Since a living will is a legal form, even if you use the state forms to create one yourself, you will want to have it notarized to minimize the chance that anyone can argue that you didn’t sign it yourself or were coerced into signing it by someone. Notary fees vary by state, ranging between a few dollars and about $20 total for a certified signature. You may also want to make a few copies, and if you don’t have access to a printer or copy machine with that capability, you could pay a few dollars in fees at a local print shop or copy center. So, for a DIY living will, you may pay as little as $30. If your state has a filing option or you want to use a commercial registry service, you may need to pay a fee for that service. Obviously an attorney-prepared advance directive costs much more. Some lawyers charge a flat rate for a basic estate plan, which includes a will, powers of attorney, and advance directive. Those fees can range from $1,000 to $2,500 or more and depend on what is included in the attorney’s services. For just an advance directive, attorneys may charge an hourly fee or a flat rate, and that could range from around $100 or more, on average. Your advance directive does very little good if no one knows about it. The list below is not all-inclusive; you should tell anyone you think might be likely to be involved in your late-life or emergency care. Starting with the individuals on this list helps you ensure someone appropriate knows about your living will should the need arise for it. Health care proxy. This is the person who you name to make decisions on your behalf if you can no longer do so. They need to know about your advance directives so they have the right instructions upon which to base those decisions. Doctor/hospital. Ask for your living will to be added to your electronic medical record at all your physicians’ offices and any hospital that you use. This ensures your medical team is aware of your wishes should they treat you during an applicable situation. Nursing home. Any time you are in the care of someone else — or even relying on someone else for medical or other assistance — it’s a good idea to have your living will on file. That includes nursing homes, skilled nursing facilities, and even assisted living communities. Family. Ensure your next of kin knows about your advance directive and has a copy, as they may be the person making decisions for you. It’s also a good idea to let other close family members know about your wishes so they aren’t upset or shocked if the situation arises where your living will must be consulted. Close friends. Close friends often act as a support system just like family — or perhaps even more so than family — so when appropriate, let them know about your living will and your wishes. They may be able to advocate for you at the time of need. Faith leader. Faith leaders are often called to be present and support the patient or family at times of need. They can better do so if they know what your wishes are. Attorney. Even if you don’t use an attorney to create your living will, if you work with a family lawyer regularly for legal matters, let them know about your document and provide them with a copy. They may also be called upon to act as an advocate for you and your family at a time of need. End-of-life decisions of any kind can be difficult to discuss with loved ones, particularly because so many people feel very strongly about what should or should not be done. Here are some tips for approaching the conversation when everyone doesn’t agree with you. First, remember that it’s your life, your body, and your decision. As long as you are of sound mind at the time you create your living will, the law stands behind you in that regard. 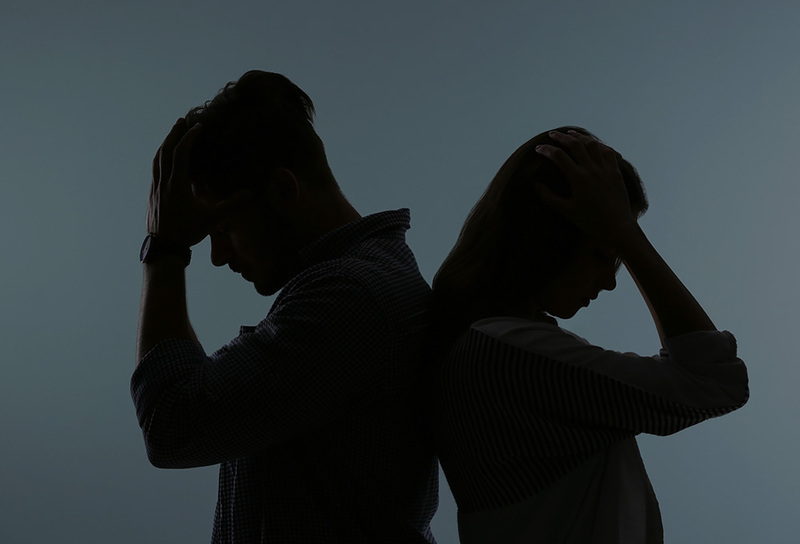 While you may not want to throw this in a loved one’s face right away, this knowledge can help you stand firm and confident in your decision. When sharing your decisions and advance directive, begin with someone you believe is likely to support you. It doesn’t have to be someone who 100 percent agrees with your decision, but choose a family member or friend who will stand behind your right to make those decisions and support them. Schedule discussions about your wishes at times that are less likely to be interrupted or stressful; this might not be a topic you want to broach at a Thanksgiving dinner table full of grandchildren, for example. Respect that the other person has an opinion, but make it clear that you’ve thought over your options, made an informed decision, and you are expecting them to support you or at least not hinder you in those decisions. Consider changing your health care power of attorney if the person you chose is strongly against your advance directive. It’s less likely they will fully support or make decisions in the spirit of your wishes, and it could be unfair to ask them to make decisions that go against their own fundamental beliefs. Some organizations may charge you for completing advance directive forms on your behalf. While there is nothing inherently wrong with such a service, you do need to be aware that they may simply complete the state template for you. Since it’s fairly easy to access and fill out those templates yourself, paying a large fee can be unnecessary. If you do pay a fee to have someone else complete your advance directive (and not an attorney you are familiar with), make sure you know what you’re paying for. Are they including a notary service? Do you feel that the value of the service you’re provided is worth the cost? Another potential area where you might be taken advantage of when creating an advance directive is fee-based registries. Some of these services are legitimate, but some are less so. Even services that do exactly what they say may be charging a large fee for something that you can do for free yourself, so always ask questions and ensure you know what you’re paying for. You can even ask your medical provider what registries they check to find advance directives so you don’t pay for a service that will be unlikely to provide any benefits. Creating an advance directive is just one step in the estate planning process, and you can also plan ahead for memorials, burial services, or cremation. 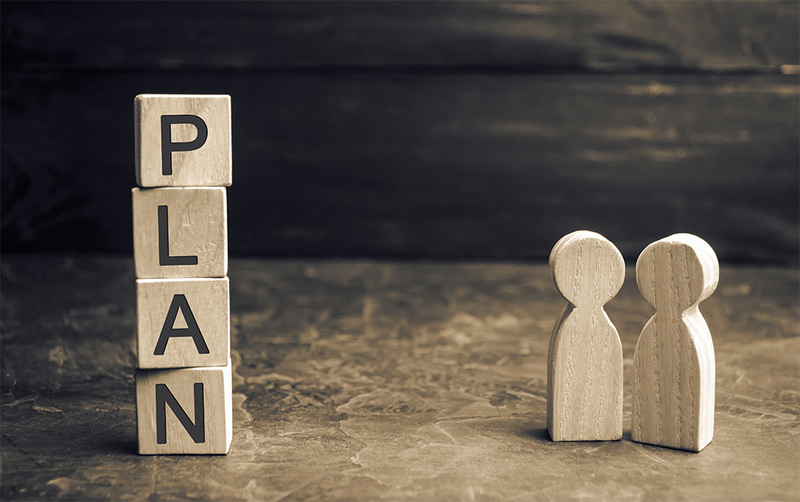 Planning ahead provides peace of mind through the end of life, helps you ensure your wishes are known and followed, and takes a lot of burden off of your family in the future. For more information about preplanning and other end of life considerations, subscribe to our Thinking Ahead email series. Note: This post is intended as a resource to help families. If you choose to create an advance directive, speak with an attorney, medical provider, or family members for advice on how best to proceed for your specific needs and wishes. Published January 17th, 2019 | Category: Resources.